​​​The Southwest FFA Chapter attended the 90th annual National Convention in Indianapolis, Indiana. Three students from the Southwest FFA Chapter attended leadership workshops, leadership session and the career expo. They enjoyed meeting new people from all over the United States and other activities, like a Rascal Flatts concert, toured the Louisville Slugger, toured the Indianapolis Motor Speedway where they kissed the bricks, toured Church Hill Downs, and they also enjoyed a nice dinner at Joe’s Crab Shack. 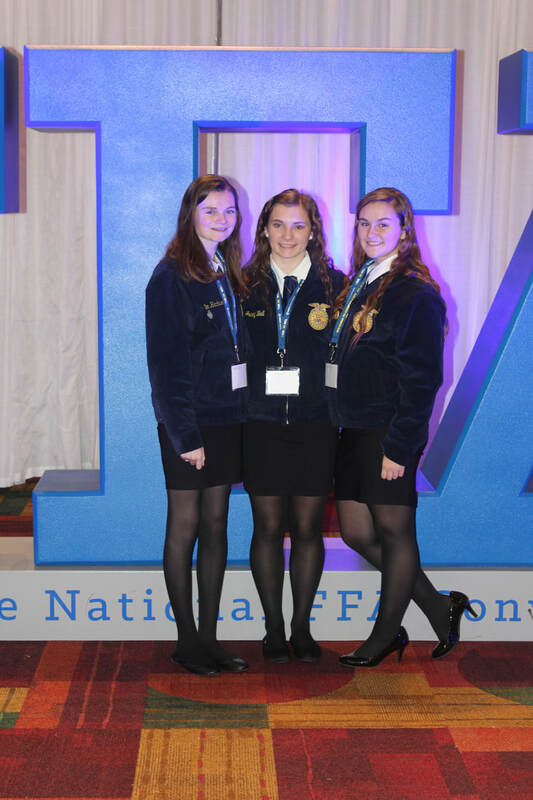 The students, Shaylin Hendrix, Maggie Patterson, and Jacey Ball, enjoyed the time they had at National Convention. Shasta Sanders was present to received her American Degree. Brent Anderson, Jacob Wolfe, River Fields and Jesse Hayworth also received their American Degrees. The highest degree for an FFA member is the American Degree. This year 4,000 FFA members received this award. This year, more than 67,000 FFA members, supporters, and guests attended the 90th National FFA Convention and Expo. 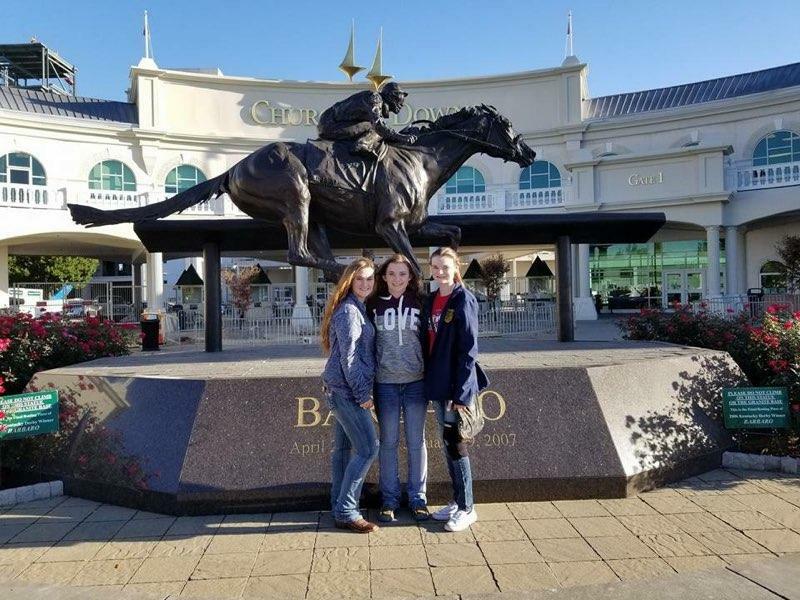 From left to right, Maggie Patterson, Jacey Ball and Shaylin Hendrix are pictured above at Church Hill Downs. 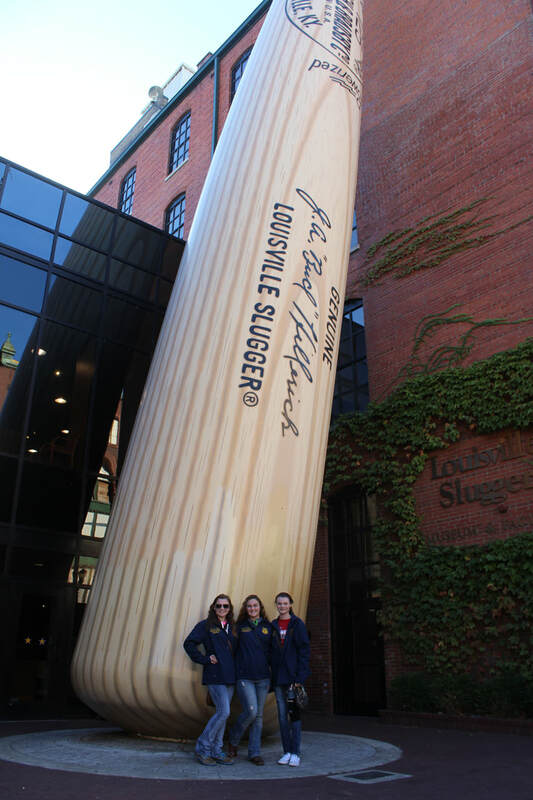 The FFA members visited the Louisville Slugger factory. Pictured above, from left to right: Jacey Ball, Maggie Patterson and Shaylin Hendrix. Pictured above, from left to right, are: Shaylin Hendrix, Jacey Ball and Maggie Patterson.